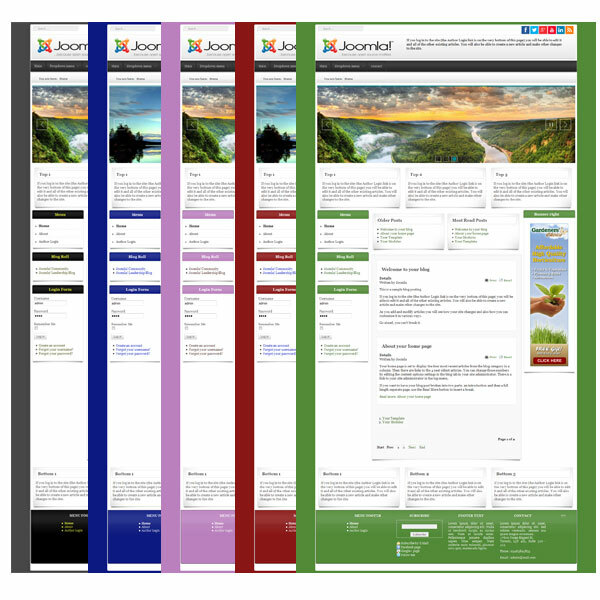 he Joomla! 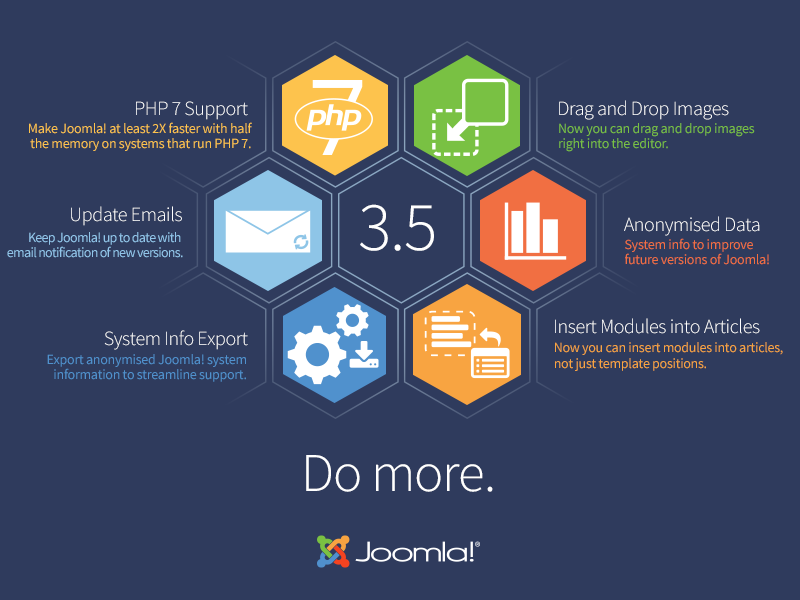 Project and the Production Leadership Team are proud to announce the release of Joomla! 3.5 as the latest in the 3.x series. Introducing 34 new features, including support for the recently released PHP 7 scripting language, which significantly increases web site speed.